Mihir has over 20 years of leadership experience in M&A, finance and technology. 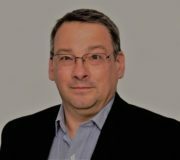 He has previously served as VP of Corporate Development and Strategy at Brocade, and held sales and corporate development roles at IBM. 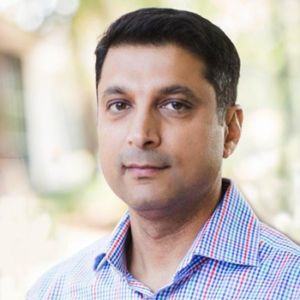 Mihir earned a Bachelor’s from the University of Southern California and a MBA from the University of California, Irvine and Post Grad Degree from Wharton School at University of Pennsylvania. Gary co-founded Nexsan in 1999, and has over 35 years of storage engineering experience. He held engineering and engineering management positions at Trimm Technologies, MDB Systems, and Rianda Electronics. His skills include microcode and firmware development, high speed electronic design using discrete components and FPGAs, PCB layout, computer security, and test engineering. A prolific public speaker, Gary has presented at dozens of public and thousands of private meetings. Read has over 20 years of sales and operations experience at a variety of technology companies. He has served as VP Sales, Americas for Buffalo Technology helping them grow revenue and expand gross margins. Read has also integrated several acquisitions. Read holds a Bachelors in Political Science, UC San Diego, and a MBA San Diego State. Along with 15 years of engineering and technical leadership experience including manufacturing, product development, sustaining engineering, quality assurance and regulatory compliance, David brings 18 years of Customer Service and Support experience to the Nexsan leadership team. Having held senior support management roles at Imation, IronKey and most recently as Director of Nexsan Global Support Operations, David has broad experience in customer service delivery, operational excellence and a focused, sensible approach to customer satisfaction. Past successes include integration of support teams through acquisition activities, transforming support organizations to utilize knowledge management solutions and collaboration in support delivery, optimizing global field service organizations by leveraging support and service partners to optimize the support supply chain and identifying customer pain points to drive proactive support activities assuring customer success. David is a Lean Six Sigma Black Belt and holds a BSEE from the University of Minnesota Institute of Technology. Stewart brings over 20 years of Operations and storage industry experience to Nexsan’s leadership team. Since joining Nexsan in 2001 Stewart lead the EMEA Operations organization for more than 12 years before becoming VP of Global Operations. Using his extensive experience in all aspects of global supply chain and materials management, purchasing, manufacturing, quality, new product introduction and logistics, Stewart has greatly strengthened and streamlined operational efficiency at Nexsan. Prior to joining Nexsan Stewart held senior roles within Quality and Operations Management at Trimm Technologies before it was acquired by JMR, a legacy storage company headquartered in Las Vegas, NV. There Stewart was responsible for Quality, Technical Support, strategic account management, purchasing, logistics and RMA.